Why have I been prescribed Naprosyn? Naprosyn EC (Naproxen) can be used to treat rheumatoid arthritis, osteoarthritis, ankylosing spondylitis (causing pain and stiffness in the back), back pain, neck pain, and swollen or painful tendons. It is also used to treat gout, sprained or strained muscles, painful menstrual periods, or rheumatoid arthritis in children. Naprosyn is one of a group of medicines called non-steroidal anti-inflammatory drugs (NSAIDs). This means it will help to relieve pain and reduce swelling affecting joints and muscles by blocking the production of chemicals that cause pain and inflammation. Swallow your capsules with a glass of water. It is best to take your capsules at the same time each day and with food. Take between 500mg and 1g each day in two separate doses, 12 hours apart. Where 1g per day is needed, you can take 500mg twice each day, or 1g in one single dose (morning or evening). In some people, a larger dose of between 750mg and 1g per day may be taken to start with to control the pain. severe night-time pain and/or morning stiffness. if your tablets have recently been changed from a high dose of another treatment for pain. osteoarthritis where pain is your main problem. Take 750mg as your very first dose, then 250mg every 8 hours until the attack has passed. Take 500mg to start with, then 250mg every 6 to 8 hours as needed. Do not take more than 1250mg a day after the first day. A dose of 10mg per kg body weight should be given each day. This should be taken in two separate doses, 12 hours apart. For ease of dosing in children over 5 years ask your doctor for another medicine. If you should forget to take your tablets, take the normal dosage as soon as you remember and then wait for the normal interval before taking the next dose. Do not double up on your dose. Tell your doctor if you are taking other medicines, including any you have bought without a prescription. This is important because Naprosyn EC could alter how other medicines work. In addition to the beneficial effects of Naprosyn EC, it is possible that unwanted effects will occur during treatment, even when it is used as directed by your doctor. Pass blood in your faeces (stools/motions); pass black tarry stools; vomit any blood or dark particles that look like coffee grounds. Indigestion or heartburn, abdominal pains (pains in your stomach) or other abnormal stomach symptoms. Nausea, vomiting, constipation, diarrhoea, dyspepsia, flatulence, gastritis, epigastric distress, small ulcers on the tongue, lips or cheeks (ulcerative stomatitis). Skin rash, itchiness (urticaria), swelling of the neck and face (angioedema), redness of the skin (erythema multiforme), blistering of hands or feet (Stevens Johnson syndrome), peeling skin (toxic epidermal necrolysis), rare skin reactions due to exposure to light (pseudoporphyria or epidermolysis bullosa), swelling of the hands or feet (peripheral oedema) or yellow skin (jaundice). Life-threatening inflammation of the liver (hepatitis). Inflammation of the kidney (glomerular or interstitial nephritis), nephrotic syndrome, blood in urine (haematuria), death of part of the tissue of your kidneys (renal papillary necrosis) or kidney failure. Inflammation of the lung (eosinophilic pneumonitis). High blood pressure, heart failure, swelling (oedema) for example in the ankles or feet, wrists or hands. Medicines such as Naprosyn EC may be associated with a small increased risk of heart attack (myocardial infarction) or stroke. Convulsions, headache, inability to sleep (insomnia), inability to concentrate or remember things (cognitive dysfunction), ringing or buzzing in the ears (tinnitus), problems with hearing, dizziness (vertigo) or ulcers or inflammation in the inside of the mouth (ulcerative stomatitis) or non-infectious inflammation of the membranes of the brain (aseptic meningitis). A reduction in the number of platelets (thrombocytopenia) or granulocytes (granulocytopenia) in the blood, a reduction of the quantity of the oxygen-carrying pigment haemoglobin in the blood (anaemia) caused by decreased production (aplasia) or increased destruction (haemolysis) of red blood cells, high levels of potassium in the blood (hyperkalaemia) or inflammation of blood vessels (vasculitis). Visual disturbances or problems with sight. 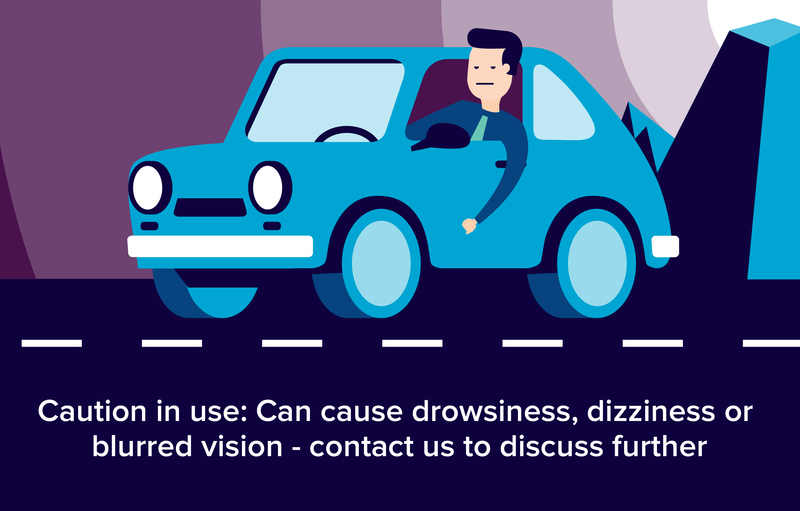 If you do develop any visual disturbances during treatment, then you should talk to your doctor who may arrange for you to have an eye examination. As with other NSAIDs Naprosyn EC may make it more difficult to become pregnant. You should inform your doctor if you are planning to become pregnant or if you have problems becoming pregnant. If you are concerned about these or any other unwanted effects talk to your doctor. If you are breast feeding you should not take these tablets.